Glorioso’s, the Italian grocery store and East Side favorite for 64 years, is planning to expand and move to a different location. 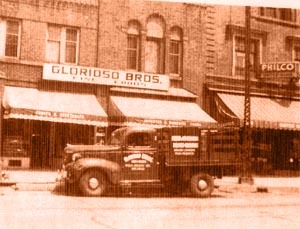 Luckily for its loyal patrons, Glorioso’s won’t be leaving Brady Street. Its owners have purchased the building that formerly housed the Brady Street Pharmacy and the new store is projected to open in spring 2010.
uncle Joe, and cousin Felice a year and a half ago. the business their entire lives. “It’s a labor of love and passion,” said Glorioso. of his family jumped on board. Brady Street Pharmacy – directly across the street. has retained loyalty over six decades.